Alimony is the legal obligation to provide financial support to a spouse after a legal separation or divorce. Laws on alimony eligibility and guidelines vary among states. Alimony is either temporary or permanent, depending on both parties' finances. If you are receiving alimony and become disabled, you may wonder how the income will affect the amount you receive in disability benefits. Social Security pays benefits to people who cannot work due to a medical condition that is expected to last at least a year. To receive Social Security Disability Insurance benefits, you must meet certain work requirements based on the age at which you became disabled. SSDI payments are based on the amount you earned during your recent working years. Alimony payments do not affect your Social Security disability benefits. Supplemental Security Income is available to help disabled adults with a low income and limited resources. If you are ineligible to receive SSDI benefits due to a limited work history or your SSDI payment is below a certain amount, you may qualify for SSI. As of 2012, the maximum monthly SSI benefit amount is $698. Alimony is considered unearned income and a countable source of income when determining SSI eligibility. If you are receiving alimony, the amount of your SSI benefits may be reduced by the amount of your alimony payment. Alimony payments that exceed the income limit will make you ineligible for SSI. Some states add additional money to SSI benefit payments. 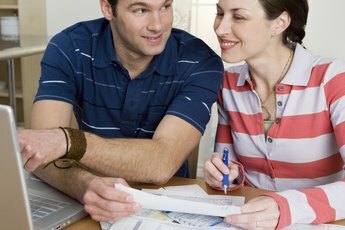 In those states, SSI income limits may be higher. Individuals who suffer a job-related injury or illness may qualify for workers' compensation. A workers' compensation payment is paid by federal or state workers' compensation agencies, employers, or insurance companies representing the employers. Alimony payments will not affect the amount you receive. Payments are based on your earnings prior to the injury or illness. Alimony won't affect the amount you receive in SSDI benefits, but disability benefits are a factor in determining the amount of alimony you receive. When calculating the alimony, the judge takes all sources of income into consideration. Alimony payments are based on the spouse's financial needs, earning potential and ability to work. If you are receiving alimony before becoming disabled and being awarded disability, you will need to report the disability benefits to the court. Kasunic Law: I am Recently Divorced and Receive Spousal Support Payments. 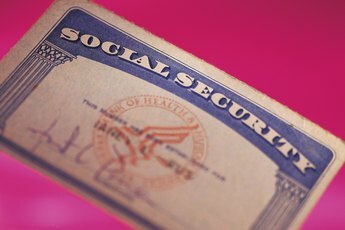 If I File for Social Security Disability Benefits, Will the Spousal Support Affect My Eligibility or Reduce My Benefit Amount?